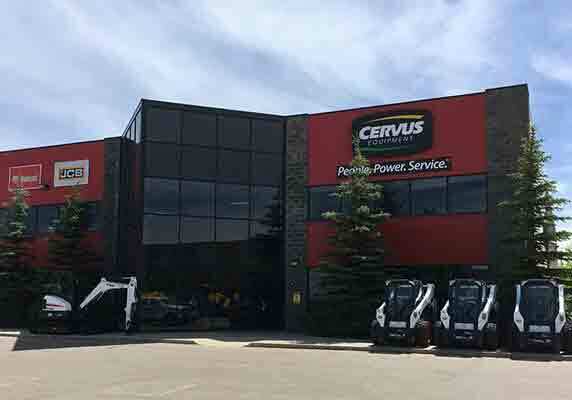 On February 26, 2018 Cervus Equipment Corporation (“Cervus” or the “Company”) (TSX: CERV) announced it has entered into a definitive agreement to sell its construction dealership group, composed of four dealership locations in Calgary, Red Deer, Edmonton and Fort McMurray, Alberta. The dealerships represent the construction brands Bobcat, CMI and JCB. The transaction price is in excess of Cervus’ carrying value and includes the land and building at the Fort McMurray construction dealership. Closing of the transaction is subject to the receipt of all required regulatory and third party approvals and, assuming that all conditions precedent can be satisfied, is currently anticipated to occur in the next 60 days. Cervus acquires and operates authorized agricultural, transportation and materials handling equipment dealerships. On closing, the Company will have interests in 60 dealerships in Canada, New Zealand, and Australia, employing more than 1,500 people. The primary equipment brands represented by Cervus include John Deere agricultural equipment; Peterbilt transportation equipment; and Clark, Sellick and Doosan material handling equipment. The common shares of Cervus are listed on the Toronto Stock Exchange and trade under the symbol "CERV".